I remember the first time I needed to choose a white paint. It was when I was painting the lower portion of my living room in preparation for my board and batten installation. I wanted to choose something that matched my existing trim. Well, the trim looked just plain old white. And I’d heard so many of my favorite home decorators say that “off the shelf” white was their go-to color. So, I took my naive self down to the hardware store, picked up a can of white paint – straight off the shelf – and went home to start my project. When I painted that first stroke, I almost had a stroke. (Not really. I’m just slightly dramatic.) It was like a fluorescent, blinding white. Not a match to my existing trim AT ALL. That’s when I knew that it was going to be a process to find the right color for my walls. 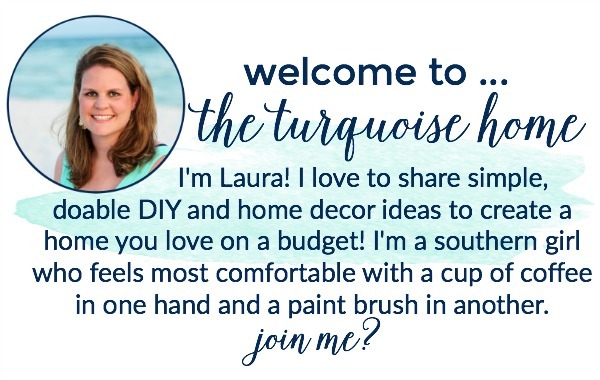 Step 1: Find the Colors Online – My first step when looking for the right paint color is to find rooms online that are painted in that color. That helps me make the first initial decision. Looking at a wall color online is going to give you an idea of what it will look like, but it won’t be exact. 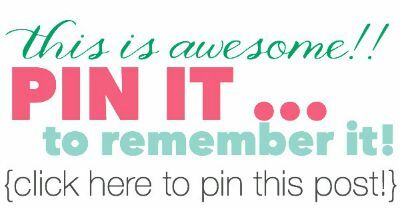 Just search on Pinterest or Google. 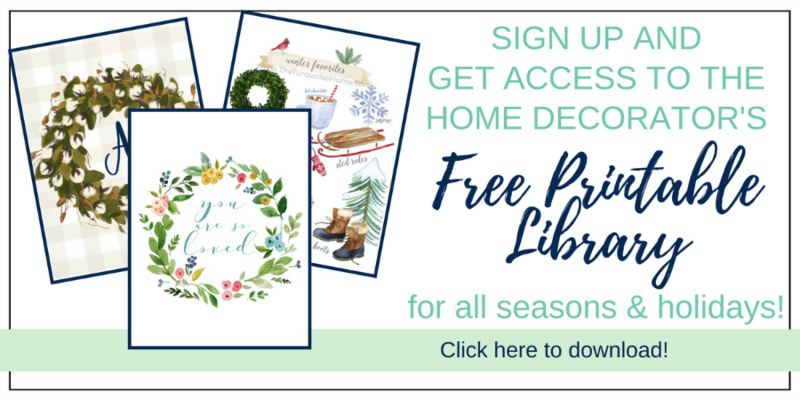 Step 2: Look at White Color Swatches Online – When you are dealing with whites, though, it’s very hard to tell tones and shades online when you’re talking about whites. The photos can be edited so differently, so I would suggest that once you find colors you like online, looking at online swatches to see what the undertones look like. The white swatches that you see online aren’t even going to look white. Instead you’ll really be able to see the subtle undertones they have. Once you get these colors on the wall they will look white, but in certain lights they will skew green, blue, yellow, etc. This will help you see how they could possibly skew once on the wall. 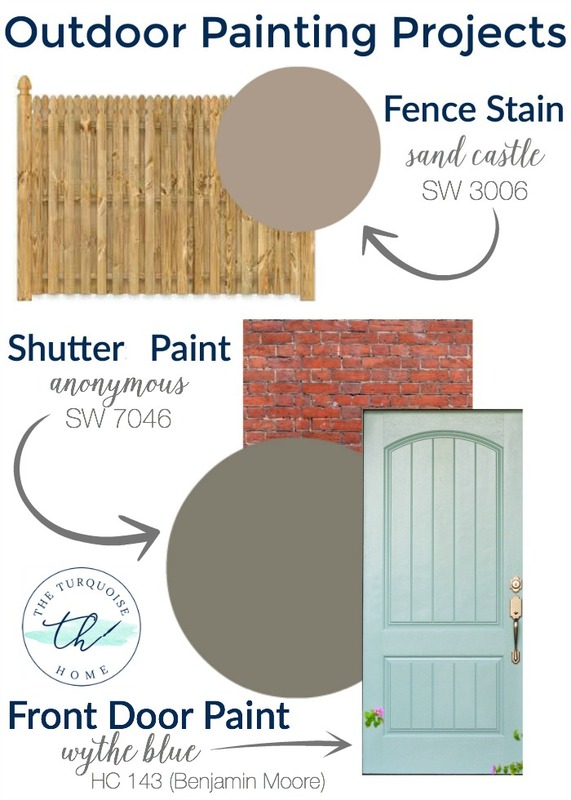 Step 3: Get Samples & Create Sample Swatches on the Wall – Since white is so hard to get right, it’s a MUST for you to take a sample home and try it out on your walls, cabinets, wherever you are going to paint. If you aren’t able to paint the wall, then paint a large poster board with the sample white paint and tape it up on the wall for a few days to see how it looks in the various lights. 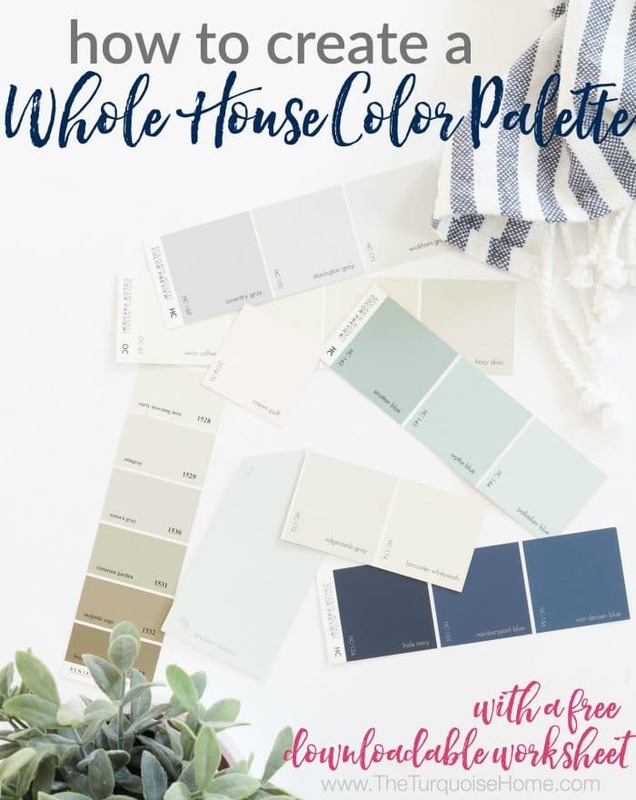 And if you need help choosing a white that works with your existing colors or creating a color palette from scratch, you need to read my How to Choose a Whole House Color Palette post. 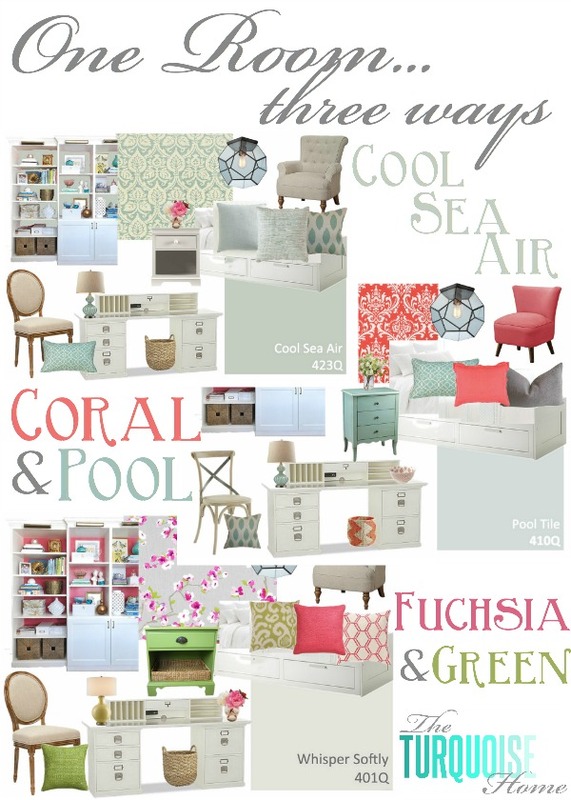 This will help you see if you need to choose a cool white or warm white. 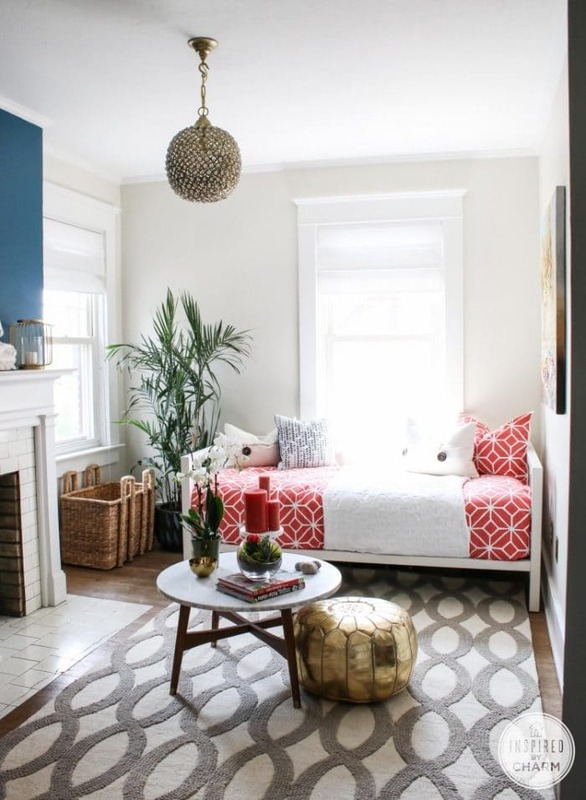 I personally find that slightly warm whites (not too yellow) look best on the walls and play well with other colors. Since white is so tricky, I’ve tried to take some of the guess work out of it for you. 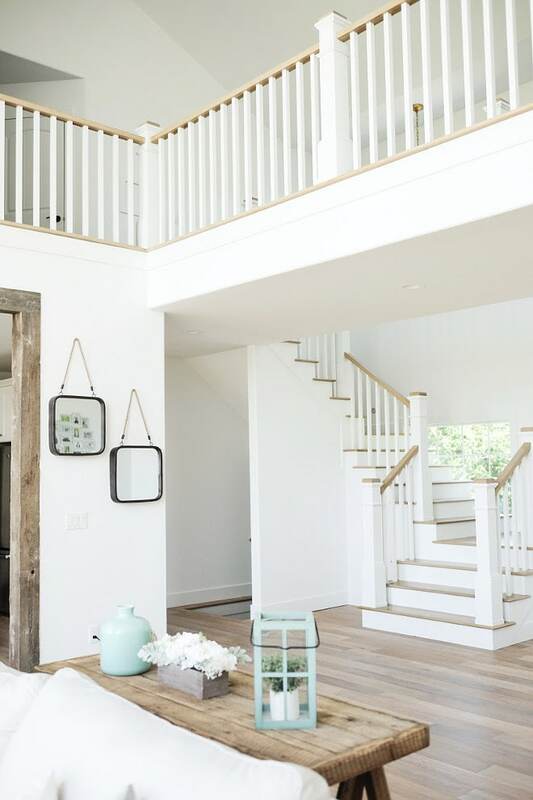 I’ve rounded up some of my favorites along with the most popular white paint colors out there today. No need to go stand in front of eleventy-bajillion paint swatches at the store and randomly start grabbing them. This way you can at least narrow the selection down, have a plan and a purpose before you start flinging paint on the walls. Here are some of my favorite white paint colors out there today. And I’ll let you know which one is my all-time favorite, too! 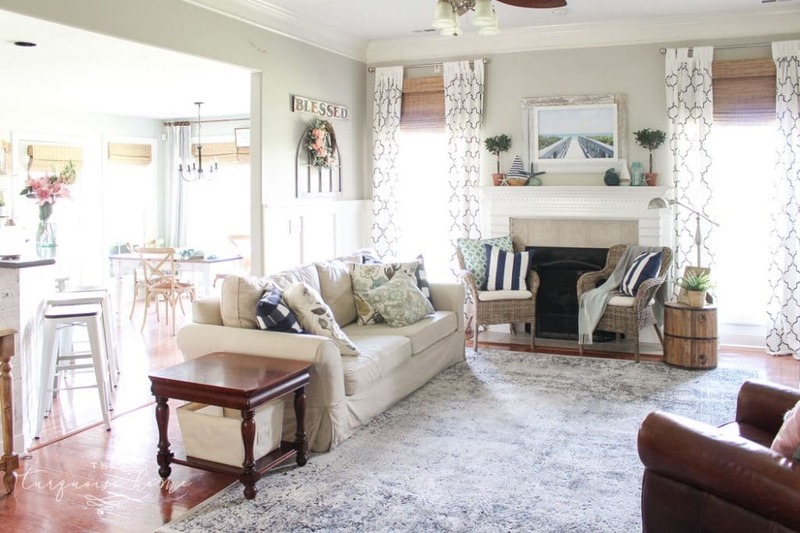 Decorator’s White by Benjamin Moore: This white has the subtlest of undertones, but nevertheless has a cooler, gray undertone and works perfectly with the rustic coffee table and blue accents in the above picture. 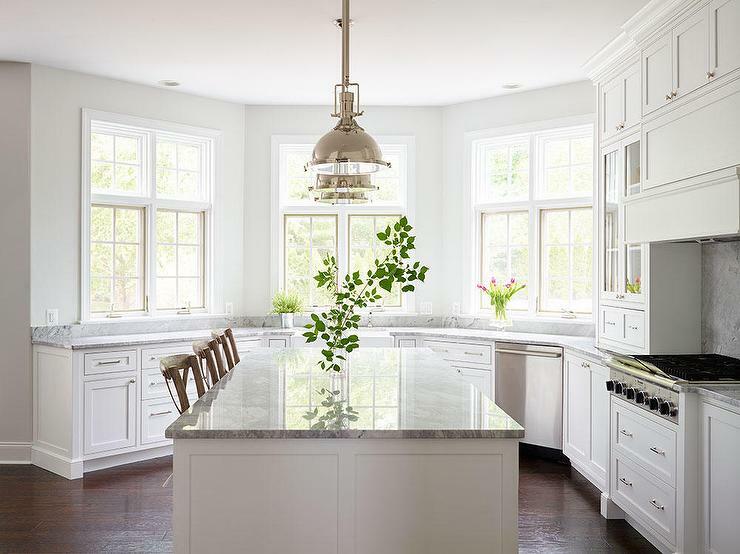 It reads like a true white in almost all lighting and is one of the most popular whites consistently used by builders and designers. 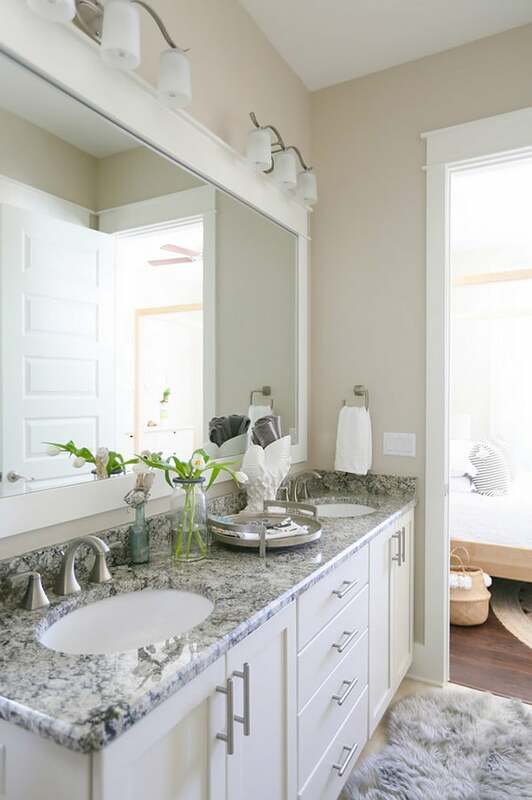 Shoji White by Sherwin Williams: Shoji White is less of a bright white and more of a soft, subtle gray-white. It reads almost a very pale gray in the image above, but I’ve seen others where it reads more white and can even be considered a very pale bottled green. Definitely one to test on the walls before buying an entire gallon. It’s super popular, especially paired with Urbane Bronze or Iron Ore (Sherwin Williams). 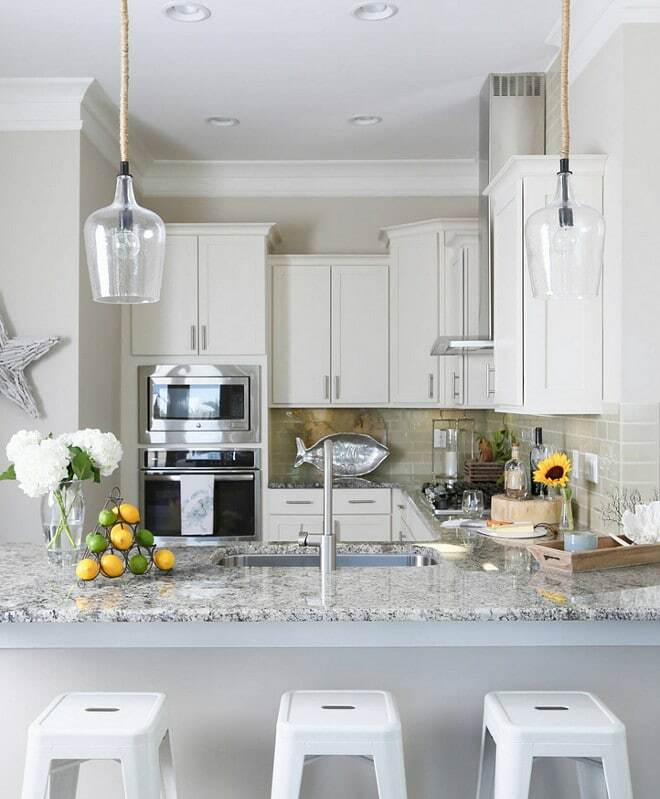 Extra White by Sherwin Williams: If you are going for pure white and want your colors to pop off the walls, then this is your color! Definitely a gorgeous bright white! White Dove by Benjamin Moore: It’s a perfectly cool white with a very slight undertone, which isn’t discernable to most. There is virtually no yellow in it, which means it sometimes reads like an ever-so-slightly grayed white. 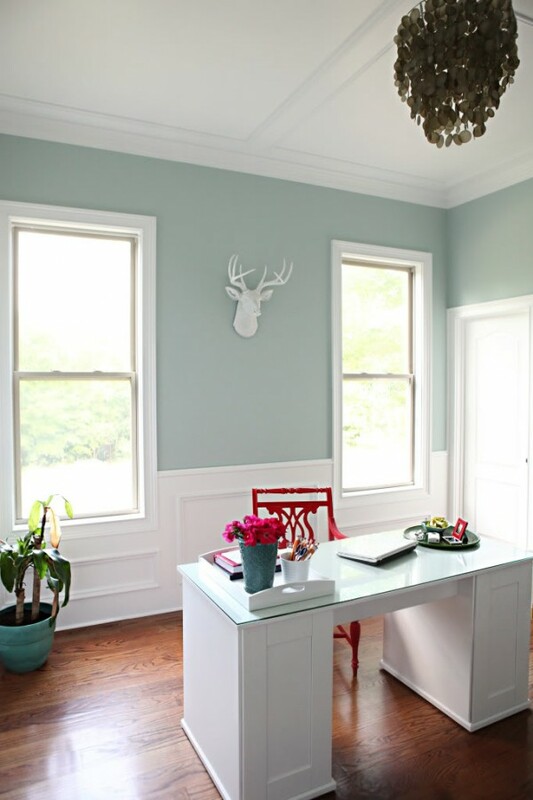 It ranks in the top 10 most popular Benjamin Moore paint colors and is a go-to for many designers and builders. 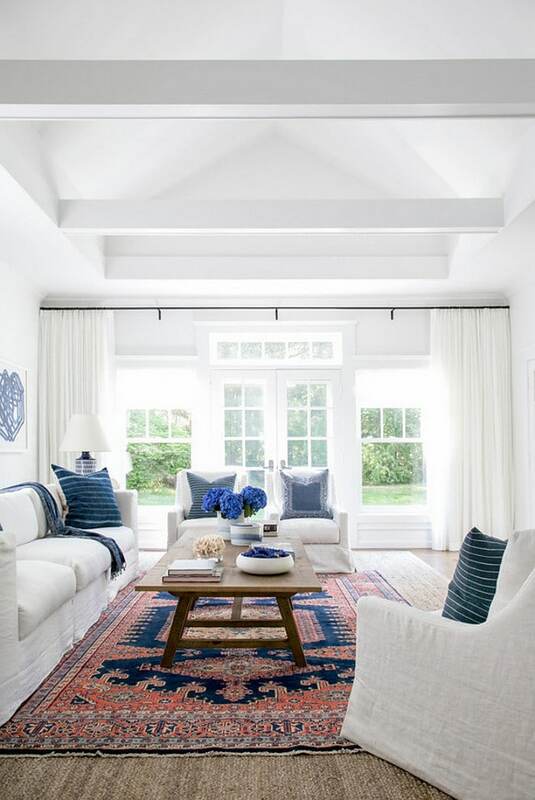 Simply White by Benjamin Moore: This color is my go-to white paint color. It adorns my kitchen cabinets, board & batten treatment in my living room and my guest bedroom walls. I didn’t paint the trim in my home, but it’s a close match. I LOVE this color. 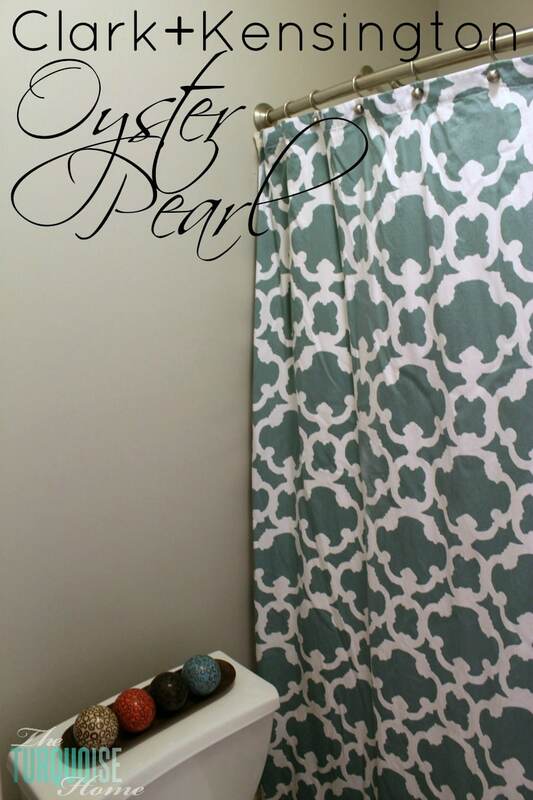 It was the 2016 Benjamin Moore Color of the Year and will continue to be my color of the year for years to come. Ha! It is a subtle warm white that gives off a beautiful glow, but doesn’t read yellow at all! 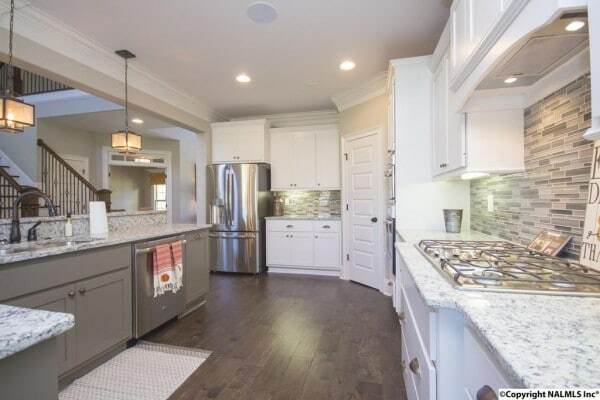 Paper White by Benjamin Moore: Definitely more of the pale gray in color, this white is gorgeous paired with other cool tones like blues, violets and grays. 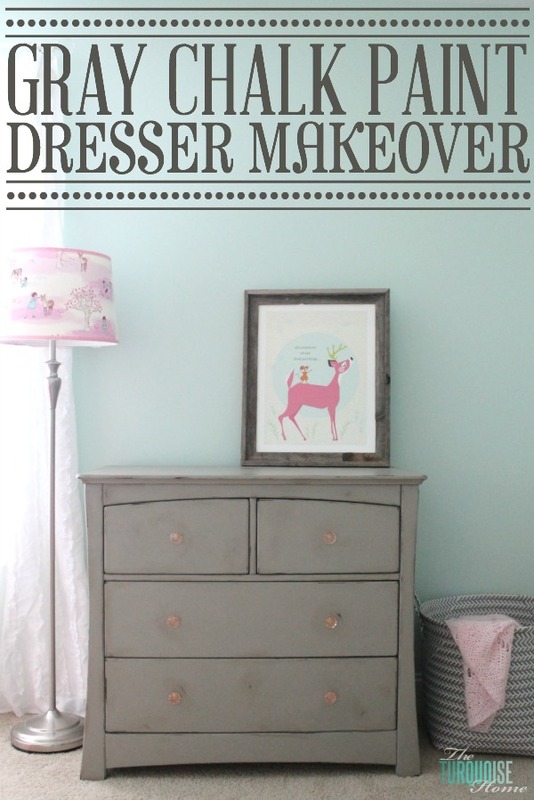 Paint it on the walls and pair it with crisp white on the trim. It’ll look so good! 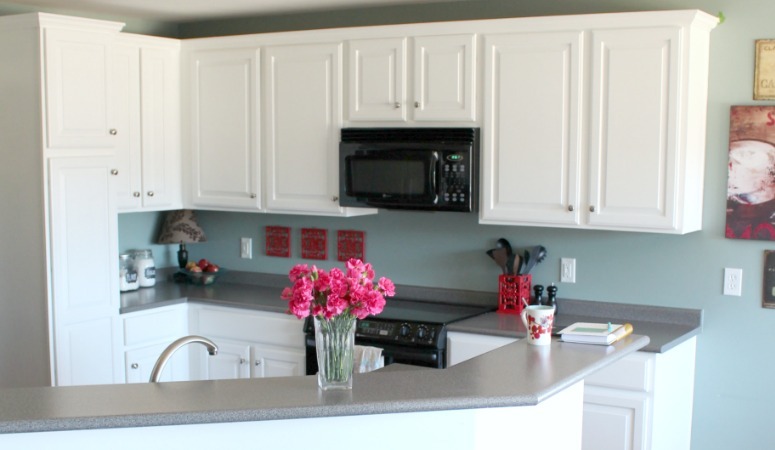 Dover White – Sherwin Williams: A slightly warm white that looks good on cabinets, as seen in the photo above. Since I tend to love a warmer white, I really like this color. 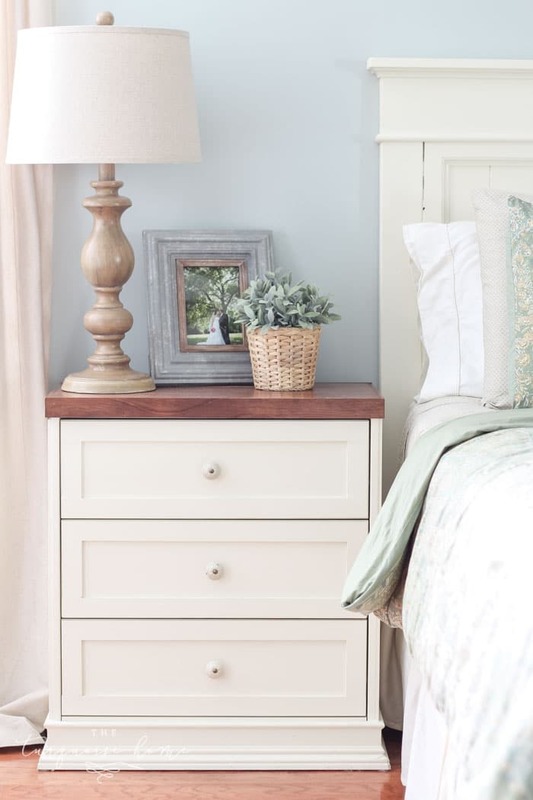 Antique White – Sherwin Williams: The name kind of gives this away. When you think of something becoming an antique, what color do you think it becomes? More yellow, of course. This white definitely has a warm, creamy undertone to it. It is subtly creamy, soft and delicious. I chose it for my nightstands and headboard in my master bedroom. It definitely is more of an off-white, but I love it, especially on furniture in older homes or in a home that is going for the farmhouse look. Yay! 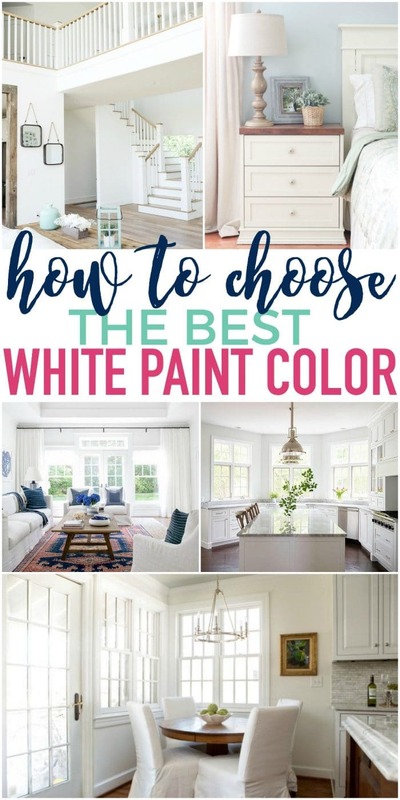 Hopefully that will help you choose the perfect white paint color for YOUR home! I know you’re going to knock it out of the park and you will love the color you choose! Bonus TIP: When you are painting walls white, it can be tricky trying to marry the trim and wall color. The tendency may be to try to use two different white paint colors. But do you know what? When you use the same color in different sheens – eggshell for walls & semi-gloss for trim – they don’t look like the same color! But they will flow together seamlessly because they are, in fact, the same. Yay! What undertone (in a white paint) should I look for if I have oak trim? Yes, I’d love to have the oak painted, but there is so much of it in my house that it isn’t an option right now. I’m tired of the beige on my walls and was thinking a white paint would really brighten everything up. Thanks for any help you can give. 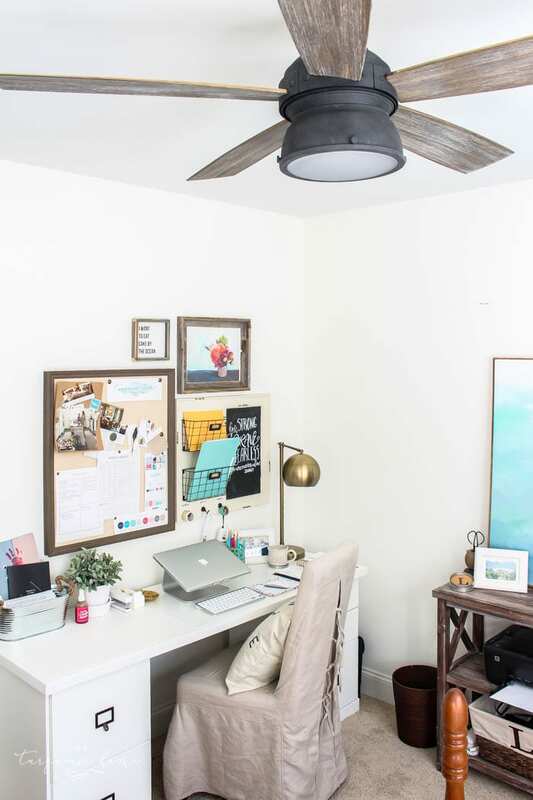 Could you tell me where you got the ceiling fan in your office? 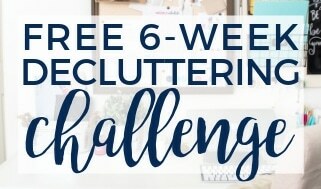 I tried your home tour but couldn’t find it. Thanks. Love your tips on the white paint dilemma. I went with SW Alabaster in our kitchen and am very happy with it on the uppers. Hi Barb! I bought mine from Home Depot, but they don’t sell them anymore, unfortunately. But I hunted it down and found it on Overstock! http://rstyle.me/n/ctctk7x85w – yay!! Something else you can do to help choose colours that work together is to match paint chips to other key pieces in your room – ie. find a paint chip that matches your sofa, carpet, furniture as close as possible – then find the wall colour that works with them all. So when I decorated my bathroom I started with a pure white suite and dark grey tiles. I knew I didn’t want a bright white for the walls to prevent it looking stark and clinical (also, in the UK, bright white looks grey and gloomy!) So I found a paint chip that matched my tiles, picked a bright red paint chip for my accent colour (towels and accessories), then tried lots of different whites, off-whites and creams until I found the right one that worked with everything. It worked out great!